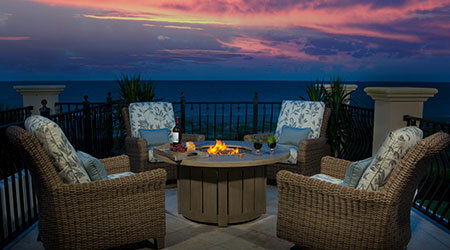 At Patio Land USA, we are your one-stop authorized dealer for the best possible outdoor patio furniture. We strive to bring you the best possible selection, while always making sure that we offer you the best possible price. 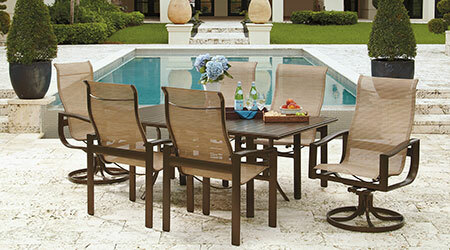 One of the lines that we are proud to carry is the Woodard® aluminum outdoor patio furniture line. If you want to know a little more about the brand or want to know why we are so happy to offer Woodard® to our customers, make sure to read on. The brand name Woodard® has been proudly represented since 1866. The brand started with just one man – Lyman Woodard. 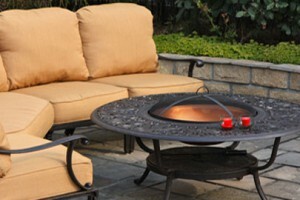 The first collection of handcrafted wrought iron furniture was developed by the Woodard family in the 1930s. 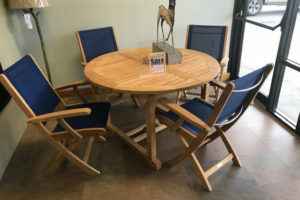 This is perceived by many as the start of casual outdoor furniture development, it lead to casual furniture designs from a number of different materials. 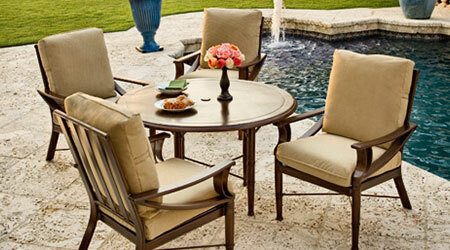 In short, when you buy from Woodard®, you are buying from a furniture pioneer. 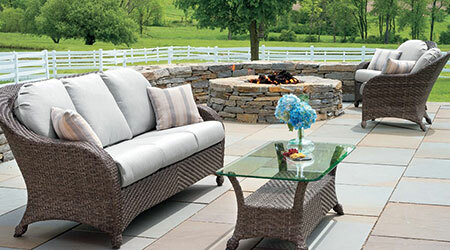 The durable designs produced in the Woodard® aluminum outdoor patio furniture line are going to provide comfortable and attractive outdoor living environments. It is possible for the designers to use intricate design patterns on the wrought iron furniture because of the handcrafted technique that is used. 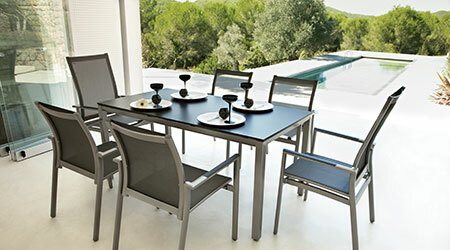 This is truly quality furniture that you can leave from generation to generation. The finishes in the Woodard® aluminum outdoor patio furniture are both modern and traditional design, with 19 premium finishes, 19 standard frame finishes, and 150 different fabric options, you always have a chance to make your dream outdoor space a reality. When you buy pieces from the Woodard® aluminum outdoor patio furniture line, you do not have to worry about a few drops or even some bad weather. Because of the durable design and the fact that quality is vitally important to Woodard®, you can be sure that you will always have a chance to enjoy your Woodard® aluminum outdoor patio furniture.